A lot of people that want to get into the car scene for easy cruising on weekends, drifting or drag racing it all comes down to one thing. You need MONEY, and lots of it. Because to get anything remotely interesting or fun is going to cost you a lot to buy and maintain, with good ol’ Ontario and their great insurance rates also impossible to insure. Heck, if you live in the GTA you have a tough time insuring a bicycle. But if you’re lucky and fortunate enough to live outside the GTA and an individual who has been working for the past few months, what exactly do you do? That brings me to my crisis; no not he kind you get when your car is vibrating too much, it’s whether or not to pursue my love for cars. I have been a Nissan guy since day one; I’ve always loved JDM cars, straight 6 engines, the turbo and questionable reliability. Your first thought might be a Skyline, which would be great if it wasn’t a fortune to insure. What else is there? 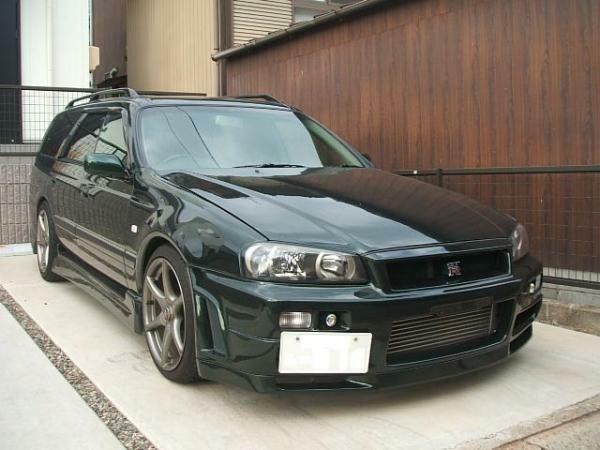 Well Nissan made an ugly looking wagon with straight 6 turbo and AWD, the Nissan Stagea. I say it’s a win because it’s something that isn’t a 2 door coupe, but still has the same engine and transmission and can still go like a bat out of hell all at fraction of the insurance cost. If you’re like me you try to save every dollar possible, not going out on weekends and instead picking up a second job to pursue the required funds to land myself some of that turbo goodness. That puts a lot of stress on to work 7 days a week with no breaks, sacrificing all of my free time. Thankfully, it’s got me to where I wanted but now I’m stuck! The Stagea was something I was so keen on buying but when I got to the point where I could, I couldn’t. You just don’t know what could happen to the car, something happens all of a sudden; the funds you worked so hard for go right down the drain, then what do you do? You might think you’re SOL but fear not, there is another side, the freedom of driving. There is nothing better than flying through the gears on your favorite back road or going down to third and doing a highway pull, nothing beats that feeling and every other car lover would agree. In the wise words of Han (who is debatably my friend Kern) “life’s simple, you make choices and don’t look back”. Maybe I’m not ready to make that choice and go all in, do I take one more year and think about or do I chase my dream of back road freedom. It’s a big decision for anybody to make let alone a student in third year. Then again…I did just receive an email for insurance on a 97 GTR, here we go again.